There’s an old saying about reputations: It takes years to build a good one, but just a few seconds to tear it down. For businesses and public figures alike, this is an all-too painful reality. 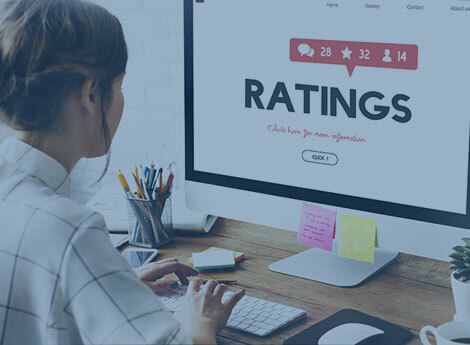 Your online reputation makes or breaks you, and something as simple as a customer complaint or a negative review can have a disastrous effect for your brand and for your bottom line. EverythingOnline is here to help. We have the talent and the expertise you need to ensure a safe, positive, brand-enhancing reputation on the Web. We offer an array of reputation marketing services, all of them designed to deal with the way your brand is presented on the Web—on review sites, search engine results pages, and social media profiles. Though the specific methods we use may vary from one client to the next, our goal is always the same: we want to portray your brand as the brand of choice among consumers. Monitoring your reputation, including search engine mentions. Managing online reviews, and generating positive new ones. Controlling your reputation on social media sites. Promoting information to enhance your brand's public image. The EverythingOnline approach relies on the best practices of traditional PR, cutting-edge SEO, content marketing, and more; we don't do anything that contradicts Google's standards or suggestions, but we do get results in establishing your brand in the most positive light possible. At EverythingOnline, we understand that your brand is important—and not just for reasons of personal vanity. It matters because it impacts your bottom line. As with all of our digital marketing services, we want to ensure that your profitability is at the forefront of what we do; we only take approaches that get results, and improve your bottom line. We avoid anything wasteful, and we carefully track our efforts to make sure we’re getting results. That's what makes us a leading name in digital marketing: EverythingOnline is all about results, and what we really want is for you to spend less money on marketing but still get superior results. That's a philosophy that extends to our reputation marketing services. To learn more about what we can do for your brand, we encourage you to reach out to EverythingOnline today.